It is unclear at this time if all purchasers of the game, regardless of timeframe, will receive these items. At this time, EA has only stated that pre-orders will. However, despite the effort to reward current players, there are aspects to keep an eye on. Last year, NBA LIVE 18 could be pre-ordered for $40 for all users, so will this $60 price point prevent new users from giving the game a try? NBA LIVE 18 also reached a digital price of less than $5 for a significant portion of the year. Even if a user enjoyed the game at $5, how much will they be willing to pay at launch, or will they wait for another drastic price drop during the year? Should pre-orders lag behind EA internal estimates or if they want to be more enticing versus NBA 2K19, will they lower the pre-order cost to $40 for all? 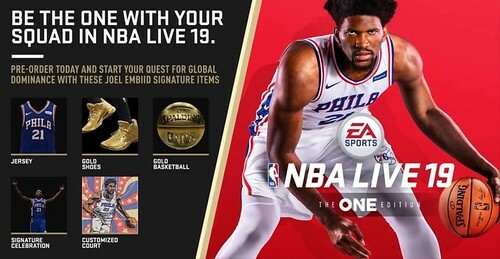 EA should continue to evaluate interest levels and pre-order numbers as NBA 2K19 begins their marketing efforts on Monday (July 2). 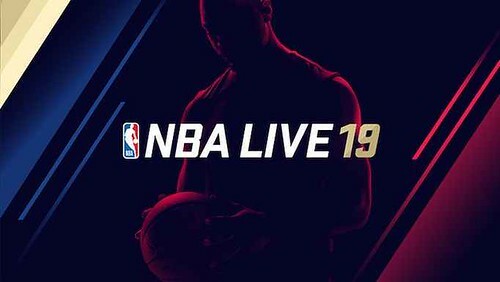 While NBA LIVE 18 likely saw a significant increase in users due to such a low price during the year, NBA 2K18 had a record year for both sales and revenue. A strong pre-release campaign and feature set from 2K19 could negate some of the gains LIVE has made in the last calendar year and force them to make additional moves pre-release. If two can exist, that is great. Options are great. I just can't see it ever becoming even close to what it once was. $5 footlong makes Subway money. $5 video game not so much for EA. Did they ever address the cpu PG from constantly driving to the bucket last year? I gave up after that. Teams didn’t feel right and it was annoying. Plus the lack of roster support was bad. If you want to cater to the fans you don’t lock down rosters and then provide very slow corrections. I know they eventually patched roster support in but you can’t release a sports game like that today.